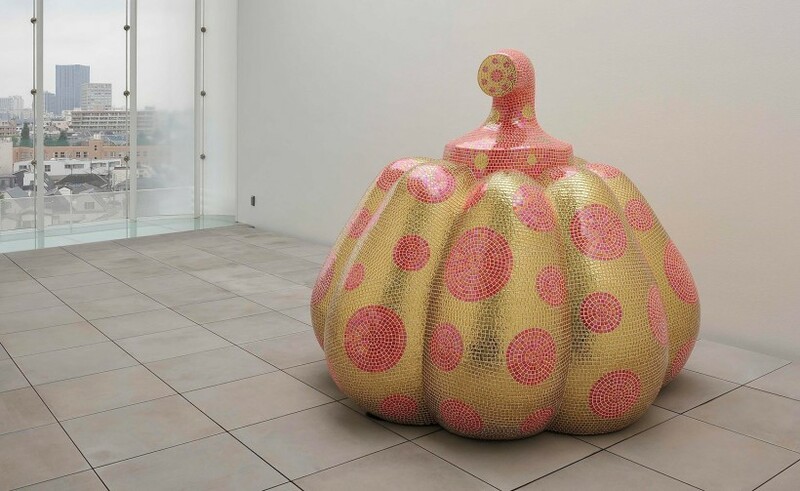 Glowing pumpkins, psychedelic polka dots and infinite mirror reflections: the grand dame of Japan’s art world, Yayoi Kusama, has long been famed as the anti-queen of minimalism. So it might come as some surprise to see that a new Tokyo museum devoted to the 88-year-old artist is the antithesis of her eye-popping artworks. Instead, the Yayoi Kusama Museum brings to mind a modern lantern, with softly curved edges, walls of glass, natural light and lots of (uncharacteristic) white. The new museum – set up by a foundation created by the artist – is located in a residential neighbourhood in Shinjuku, not far from her studio and the psychiatric hospital where she has lived voluntarily for 40 years. Designed by architectural firm Kume Sekkei, the concept is simple: five white cubes have been stacked and slightly rotated, creating five compact floors, each measuring less than 131 sq m.